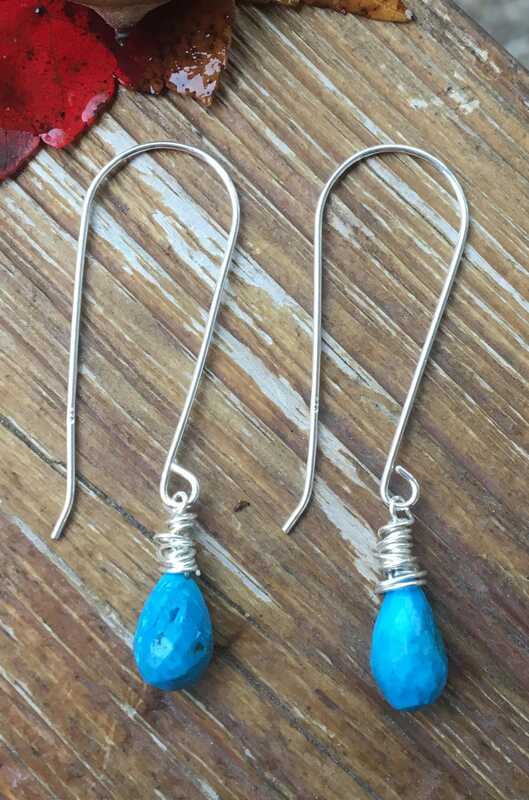 These sterling silver earrings are hand crafted with brilliant & faceted turquoise gemstones. The front wire section of each earring measures 1 3/8" long. Hand created earring wires. Light & airy on the ear.